Himalayan Crystal Ionic Salt is made from the crystal stones of Himalayan Salt and is hand-crushed for use in your salt shaker, recipes and personal care. Replace the salt in your kitchen and get vital minerals in your diet with every use. You will be surprised at the beautiful shade of pink of Himalayan Crystal Salt. Himalayan Crystal Salt contains 84 minerals along with trace elements that come alive when dissolved in water, able to penetrate the human cell in a form that can be easily metabolized by the body and does not dehydrate your body the way that common salt can. 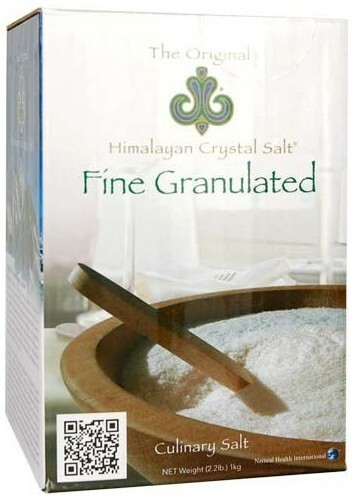 Like other natural, unrefined salts, Himalayan salt comes from the Himalayas and contains a variety of trace minerals. Use Original Himalayan Crystal Salt™ for all your dietary and cooking needs. It can also be added to bath water. Water activates the salt and your skin will be revitalized by the beneficial minerals in a salt water bath.